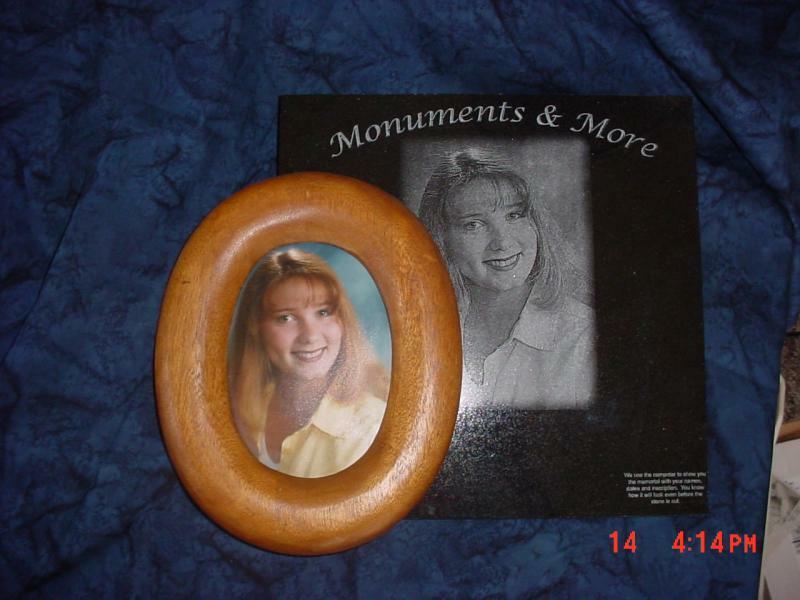 Ceramic or Metal Photos, Bronze Casts, or Carvings and Etching on the actual memorial or plaques. 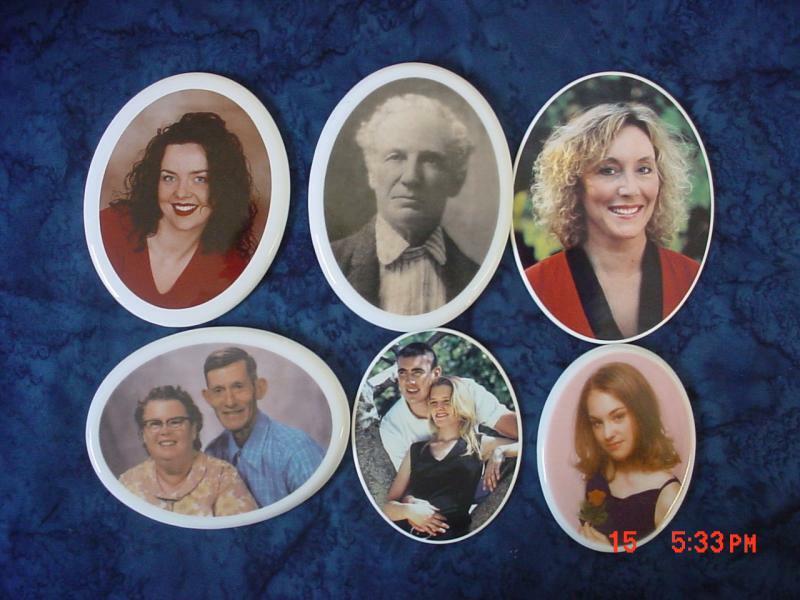 Laser Etched Photos can be etched directly onto a memorial or on to a tile. This tile was made from the photo in front of it. Cameos are available on porcelain or metal and in color or black and white. Shapes available include oval, round, square, rectangle and heart shaped. They range in size from 1 1/2 inch to 10 X 12 inch.